Rap contest, On Klub, Los Angeles, ca. 1979. 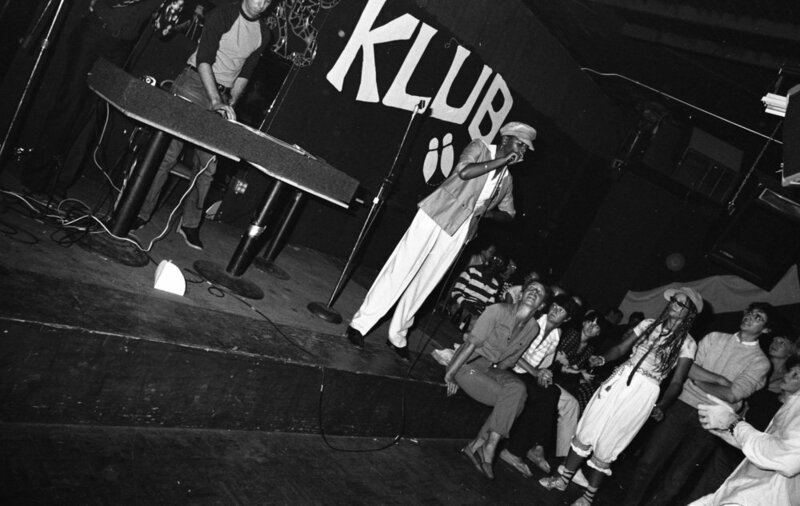 Rap contest, On Klub, Los Angeles, ca, 1979. Tokyo, ca. 1988. Opening of shop called "Oyaji-Do." 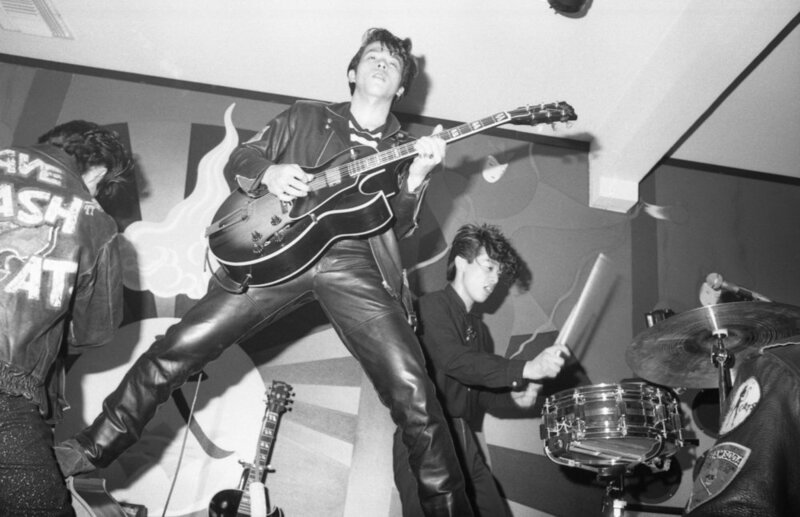 Scooters performing at Tsubaki House with guest vocalist S-Ken, Tokyo, Sept 28, 1983. Occupy Boston, Dewey Square, October 16, 2011. Harold Budd, pre-performance interview, Tokyo, 1983. 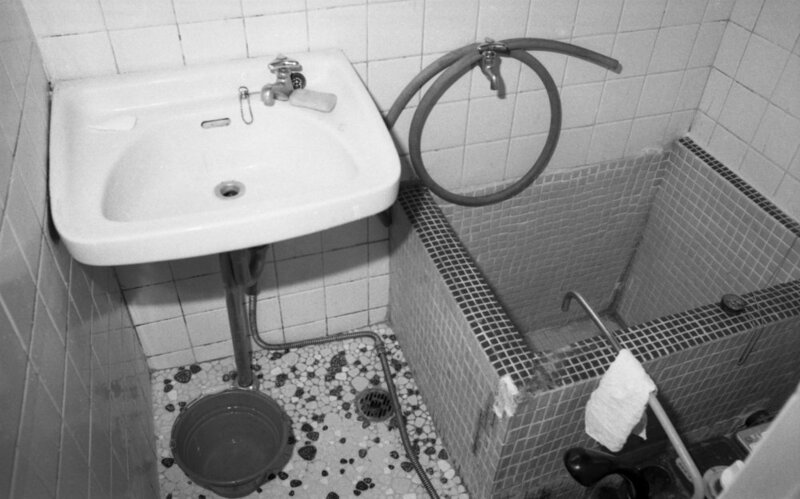 Harold Budd, pre-performance, Tokyo, 1983. Harold Budd performance, audience, Tokyo, 1983. Sebastian (right), Jeff Spurrier (bottom left). Los Angeles, January 1982. Sebastian. Los Angeles, January 1982. 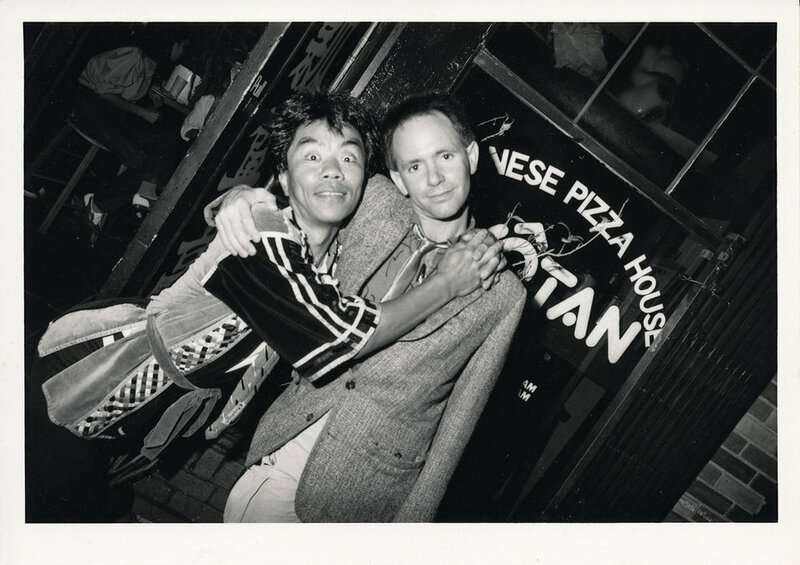 Sushi bowling, Los Angeles, January 1982. Left to right: Nancy Youdelman, Jeff Spurrier, Carol Kaufman. Los Angeles, December, 1981. Left to right: Sophie Youdelman, Randall Mason, Douglas Oliver (reflected in mirror), unknown woman. Los Angeles, December, 1981. Left to right: Paul Francis, Susan Lieberman, Christine Rush. Los Angeles, December, 1981. 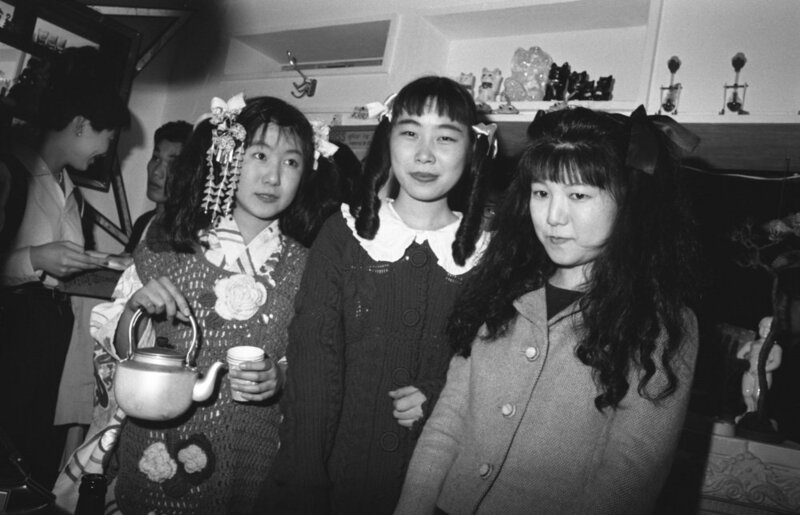 Left to right: Christine Rush, Yana Nirvana, Sophie Youdelman. Profiles in courage. Los Angeles, December, 1981. Los Angeles, December, 1981. 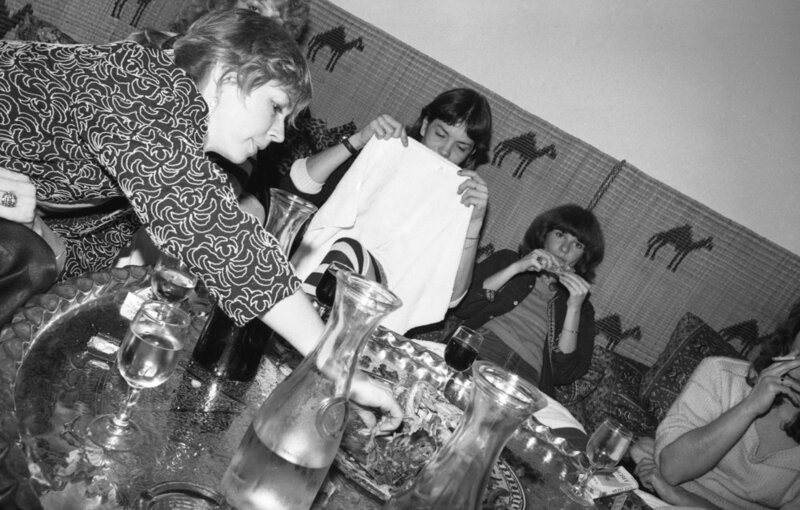 Left to right: David Daniel, Jan Lester, Andy Johnson. Los Angeles, December, 1981. Stephanie Ross dancing with David Daniel (2/2). Los Angeles, ca. 1980. Christine Rush backstage at the Whisky with Tim Barrett. Los Angeles, ca. 1980. Backstage at the Whisky. A member of the band "No Sisters." Nancy, ca. 1979. Los Angeles. Nancy and Fayette. Los Angeles, January, 1982. Hisao et al a-tippling. Los Angeles, January, 1982. Jack Larson, a musician best known for his role as Jimmy Olsen in the 1950s TV series "Superman," at Betty Freeman's salon for Philip Glass, 1981. Attendee at musical event, Los Angeles, 1981. Philip Glass making a presentation at salon given by Betty Freeman, Los Angeles, 1981. Audience at reggae concert, Los Angeles, about 1980. Reggae concert, Los Angeles, about 1980. Betty Freeman with camera, Philip Glass at left in background. Betty Freeman's salon for Philip Glass at her house, Los Angeles, about 1981. Cynthia and Susan at the Blessing of the Grapes, Fresno, 1969. Glenn Shadix and his theatrical troupe, Los Angeles, about 1980. Thanksgiving at Gene Bowen's house, Fillmore, California, 1981. Bartender, On Klub, Los Angeles, 1981. 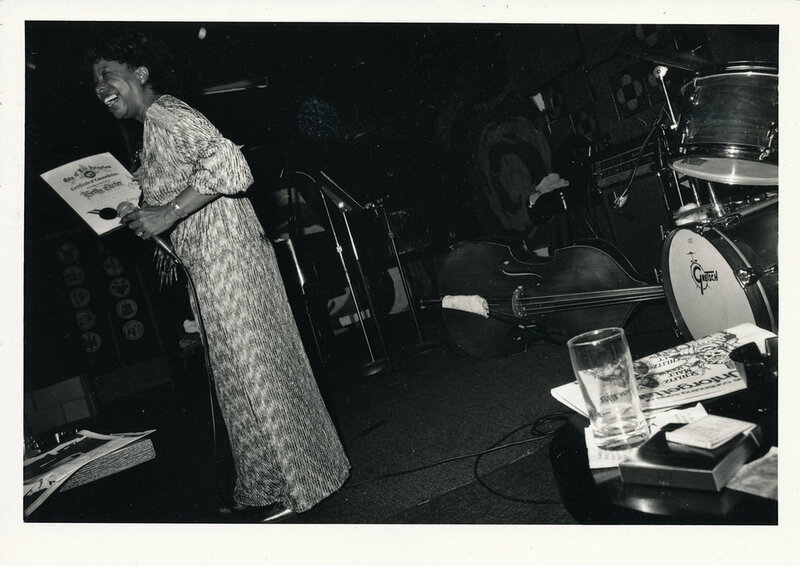 Billy Sheets and his band, Undercover, at the On Klub, Los Angeles, about 1981. 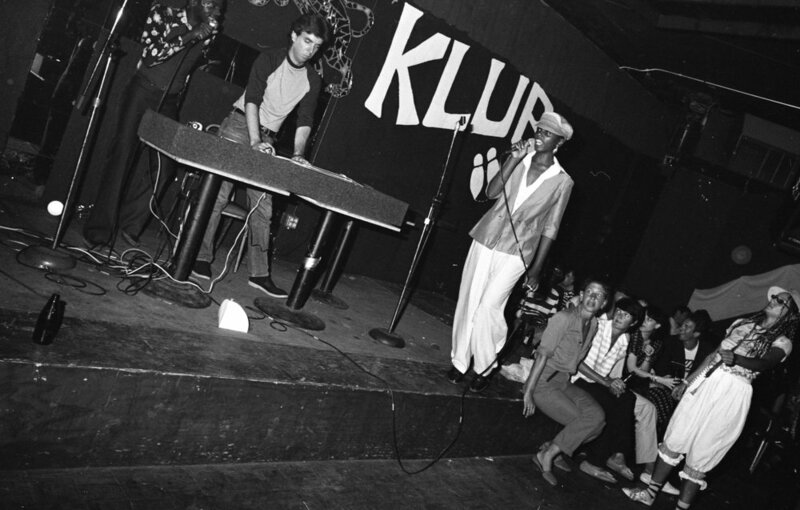 Billy Sheets and Undercover at the On Klub, Los Angeles, about 1981. Katie and Tom charm the crowd at the On Klub, Los Angeles. About 1981. Katie (obscured) and friend dancing to Billy Sheets and Undercover, On Klub. Los Angeles, about 1981. 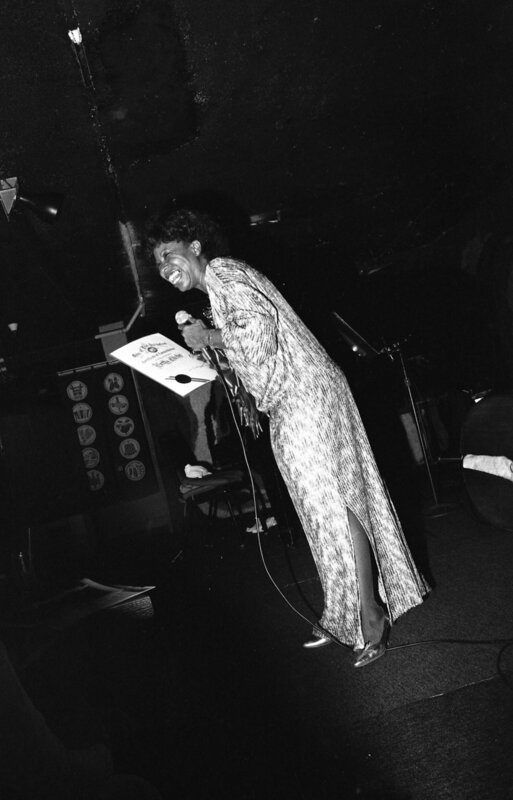 Audience at On Klub, Los Angeles, about 1981. 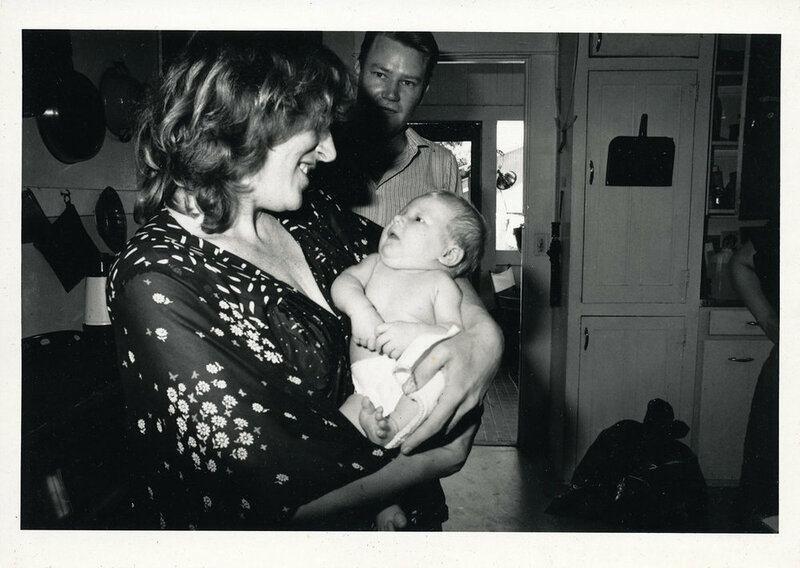 Left to right: Tom Nixon, Gene Bowen, Harold Budd, Harold's then-wife; seated: Pam Sheridan holding Gene and Pam's baby. Fillmore CA, 1981. English band from Liverpool, The Room. Al's Bar, Los Angeles, summer, 1981. Concert audience (band: Jagatara), Tokyo, 1987. 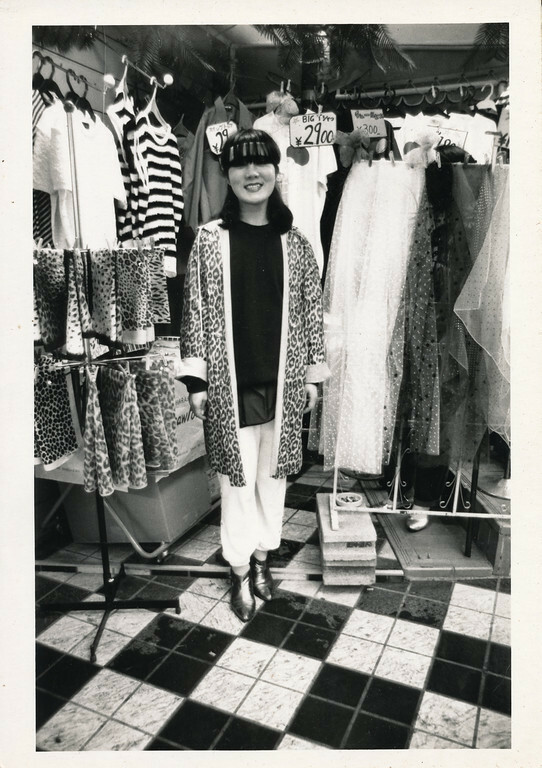 Tokyo, 1980. All-girl band called "Boys Boys." Club Yane-ura, Shibuya-ku. 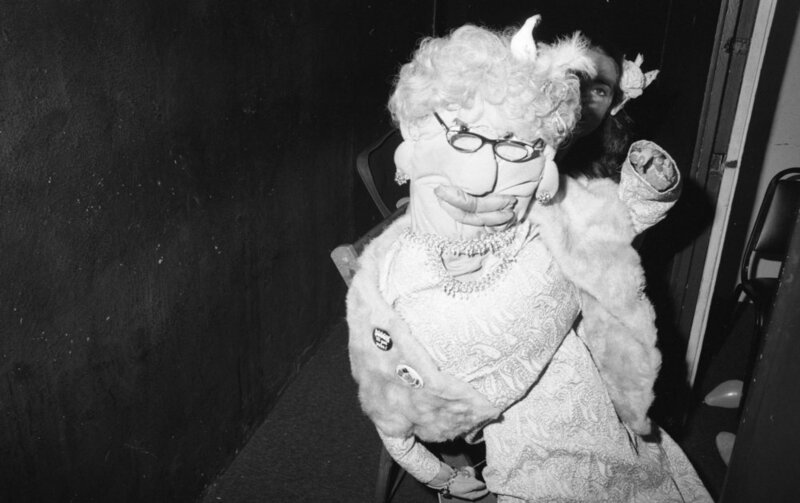 Elvii at a Halloween party, Los Angeles, 1980. 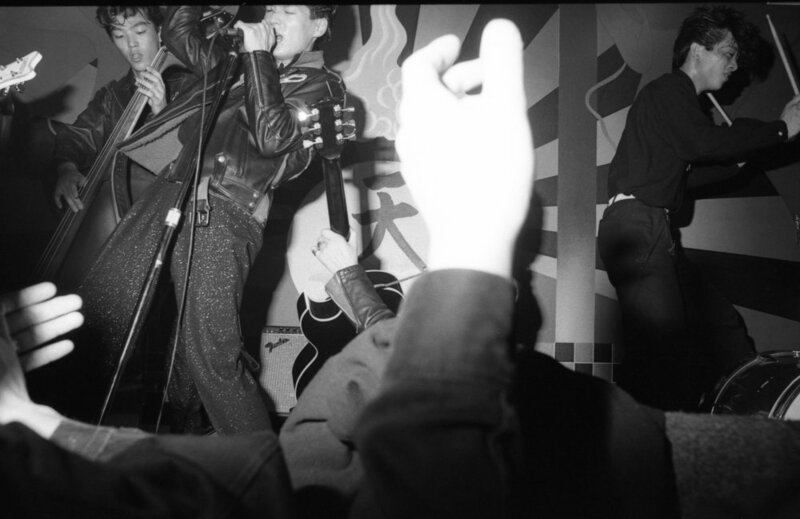 Scooters performing at Tsubaki House, Tokyo, September, 1983. 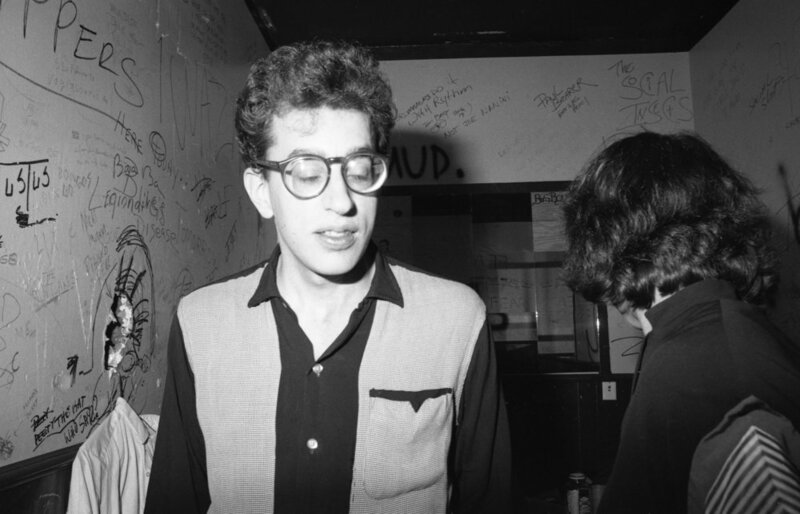 Black Cats post-performance, China Club, Los Angeles, 1981. Kent State and Rick May of Billy Sheets Undercover, post-performance, Los Angeles, about 1980. Fayette Hauser and band, Interpol. Al's Bar, Los Angeles, about 1980. Crowd at Al's Bar, Los Angeles, 1980. Crowd at ska concert, Pasadena, 1980. A concert I have no recollection of. Los Angeles, 1980. Concert crowd. Los Angeles, 1982. Gallery opening. Los Angeles, about 1981. Later that same night . . . Los Angeles, 1980. Event at Ukrainian Cultural Center, Los Angeles, 1982. Crowd at event, Ukrainian Cultural Center, Los Angeles, 1982. Patrons at event, Ukrainian Cultural Center, Los Angeles, 1982. Madame Wong's, Hisao and Tom at the bar. Los Angeles, 1981. "This place is a flea-pit!" 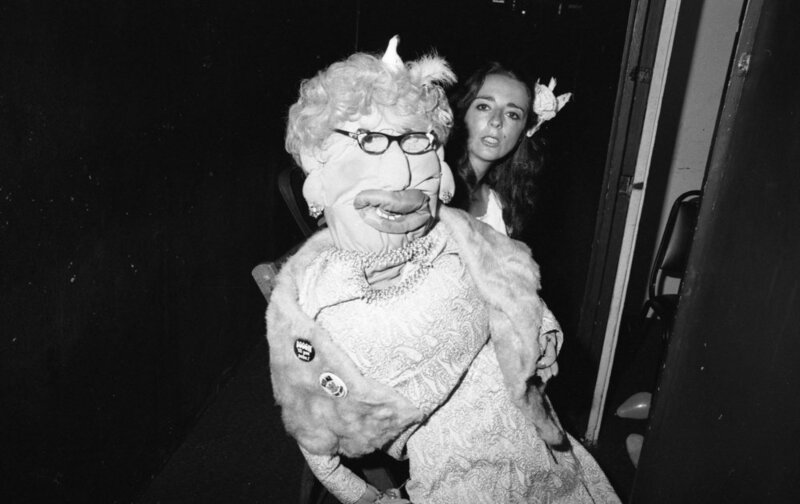 From "At the Theater, " 1976. Famille Nixon, Burbank, California, about 1979. L'homme de maison, chez Nixon, Burbank, California, about 1979. 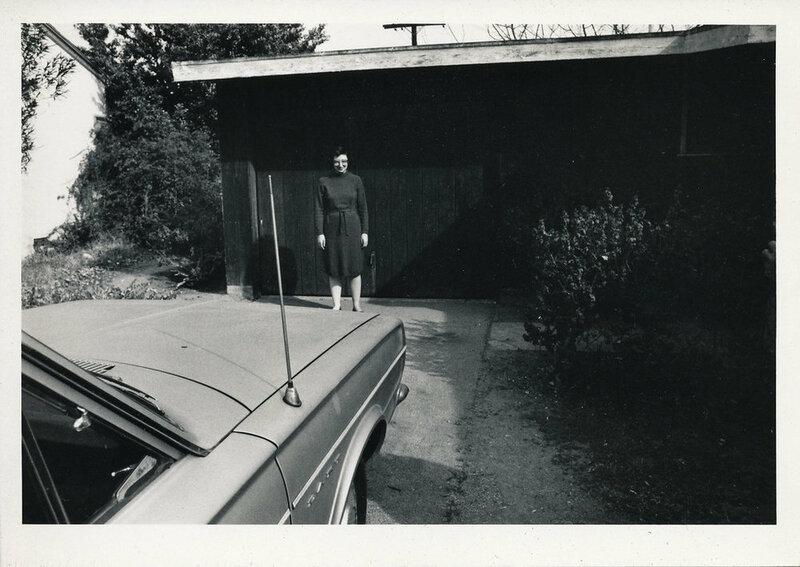 Chez Nixon, Burbank, California, about 1979. Tom, Chris, Hisao. Los Angeles, about 1980.